SmokingSupplyOnline: Smoking Accessories Unit Of R3 Wholesale is a Leading Manufacturer and Exporter Of all types Of Glass Smoking Pipes of all sizes and Variety. KINDLY DROP US A MESSAGE AND SEND US YOUR EMAIL SO WE CAN SEND YOU OUR LATEST CATALOG AND BEST DEALS RUNNING. We carry all the items required in this trade from small peanut to Hefty bubblers and artistic fumed glass pipes, from 6" wp to 22" wp, Honeycomb wp, and Accessories, etc etc, whatever you need we have everything in our arsenal. and above all, we can customize as well according to the specific requirements of our Clients. 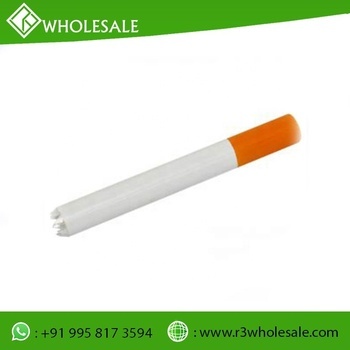 We fulfill the needs of small Smoke shops to big wholesale suppliers from all over USA, Europe, Middle East, Australia, we already serving many clients worldwide. We can supply Worldwide. Quality: Our Strict Quality Control Is the Mainstay Of Our Products and Our Company, All Our items are Made Up of High-Quality Borosilicate Glass. and every product undergoes 3 Levels of Strict Inspection. Variety: We know that New Designs is a constant requirement in this trade, so we have a special team of artists working on this regularly to provide our valuable customers always new designs and novelty items in this trade. Mix Orders: Give it a Try, and You can Start with a Mix Order initially to know the Quality we Carry. Processing Time: Depends On the order Quantity, usually 10-12 Business Days. Shipping: We Can ship Worldwide: We use Reputed Shipping Companies Like FedEx. Kindly send us your exact shipping addres for the Exact Shipping Quotes. Our shipping Department will work that for you. 1. Could I have the prices of your products? 15-20 work days for normal orders, some regular products we have stock for sending in a short time. Yes, for the order more than our MOQ, please contact us to get the best price. Yes, each step of production and finished products will be coming out inspection by QC department before shipping. 6. Are you a factory/manufacturer or trader? We are direct factory who owns production lines and workers. Everything is flexible and there is no need to worry about extra charges by the middleman or trader. 7. Which payment method you can accept? Generally, we adopt Bank Transfer, Western Union, Paypal. Best Payment can be accepted after discussing. We are the one and only largest manufacturer and exporters in India. We have more than 20 regular satisfied clients worldwide. The Company has developed a business strategy to switch over exports from one commodity to another with a change in demand or inconsistency in pricing for any commodity during any season. This policy adopted by the management ensures that the Company does not pass through a lean period during the year. WE ARE THE LEADING MANUFACTURER OF ALL KIND OF SMOKING ACCESSORIES, HOOKAH ETC. CONTACT US FOR OUR DETAILED CATALOG.